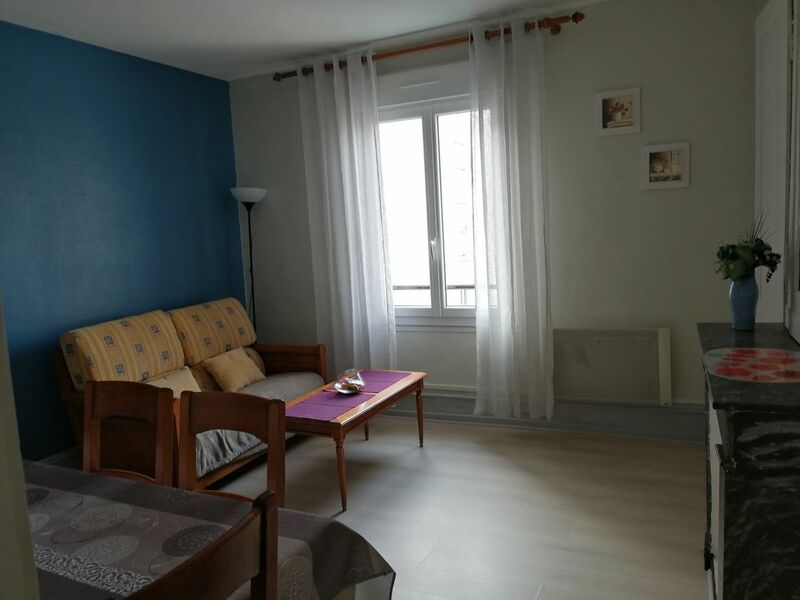 Apartment on the 2nd floor of a small building located in a quiet street near the city center. The train and bus station is 15 minutes walk; the tramway to the city center and the beach 10 minutes. Shopping street 150m. It consists of a dining room / living room, a bathroom with shower and toilet, small kitchen equipped with cooking plates, micro_onde, washer dryer and a bedroom (1 double bed 2 persons) overlooking courtyard.